Tooth whitening is the simplest, most cost effective way to make the biggest positive difference in your smile. Your smile is one of the first things people notice about you, and it’s a huge part of what makes (or breaks) your first impression. 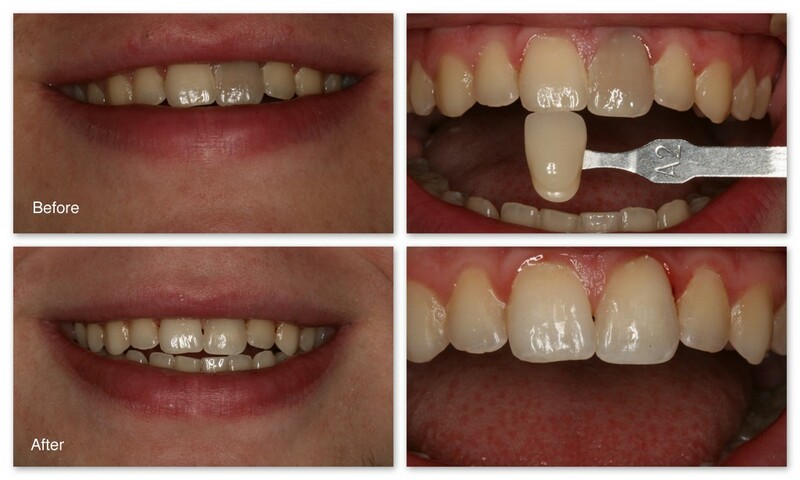 Before– This patient presented to Dr. Jack Hosner of Portage, MI requesting to whiten her teeth. 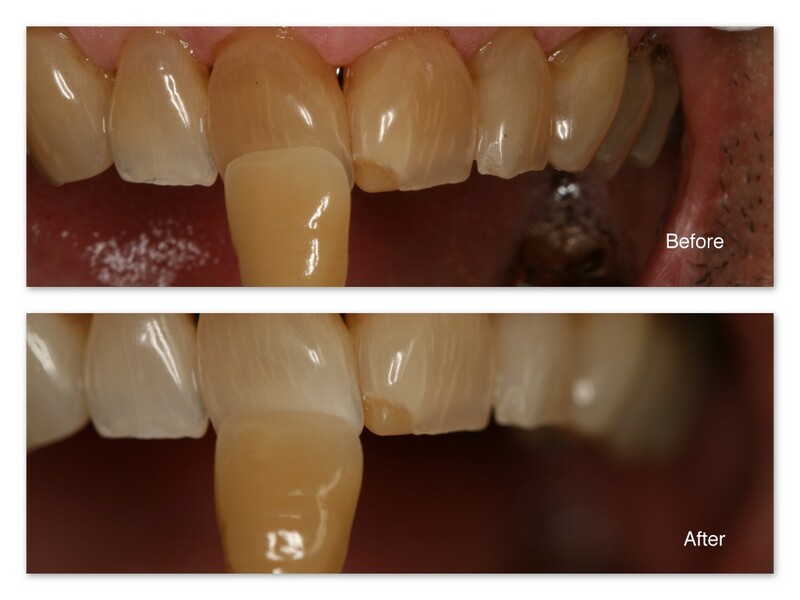 After– The teeth are much whiter after the patient bleached her teeth at home using custom fitting bleach trays and strong bleaching gel she received at Dr. Hosner’s office. 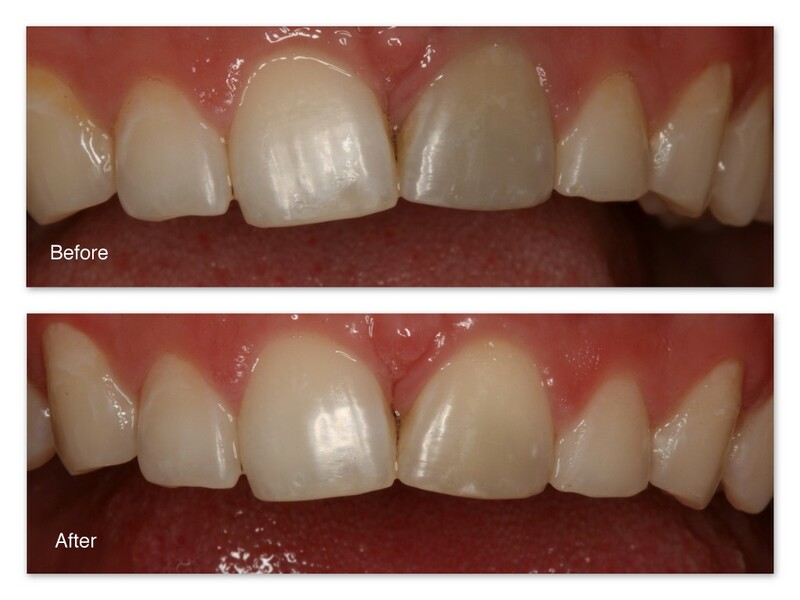 This patient only bleached her top teeth. Before– This patient’s teeth were very dark. 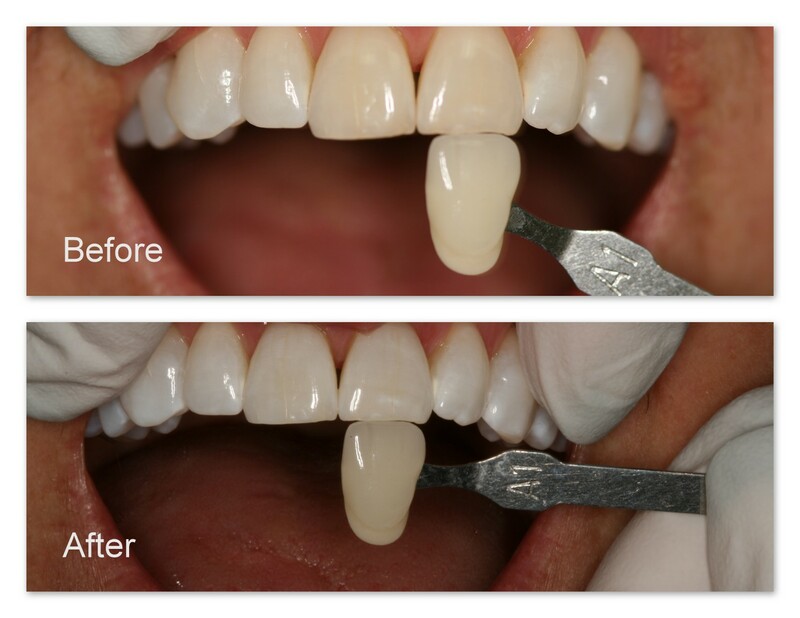 After– After months of dental at-home bleaching, you can see the amazing results. These teeth may continue to lighten up with further bleaching. Before– This patient’s front tooth is getting dark because of an accident that damaged the nerve/blood vessels within the tooth. 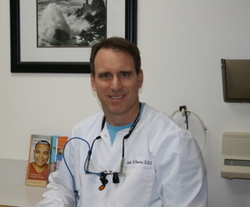 After– After root canal therapy by Dr. Jack Hosner to clean out the damaged tissue within the tooth, Dr. Hosner internally and externally bleached the tooth to closely match the other teeth. The patient was satisfied. 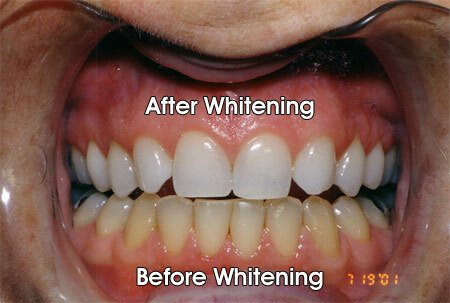 After– After Whitening. Notice the difference in the color of the teeth now and the shade tab.